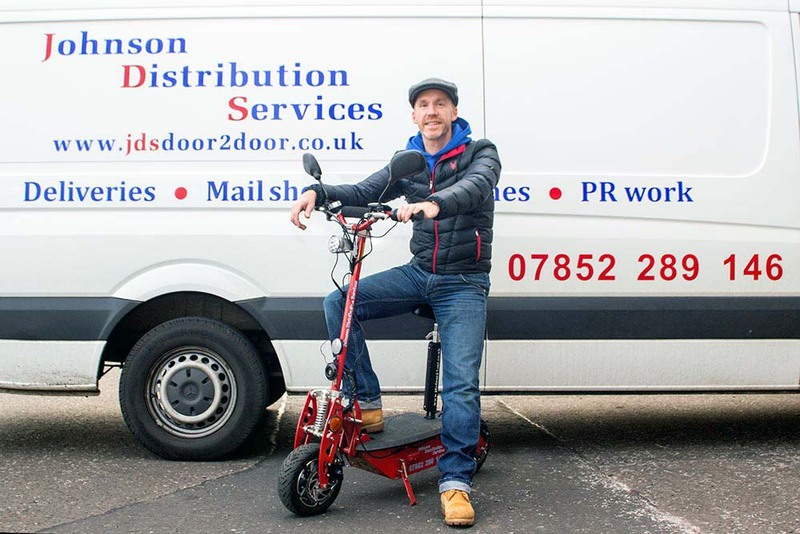 Established in 1984, Johnson Distribution Services began with a vision to become one of the leading and most successful door to door delivery and distribution companies to operate in Edinburgh, Lothians and Central Scotland. 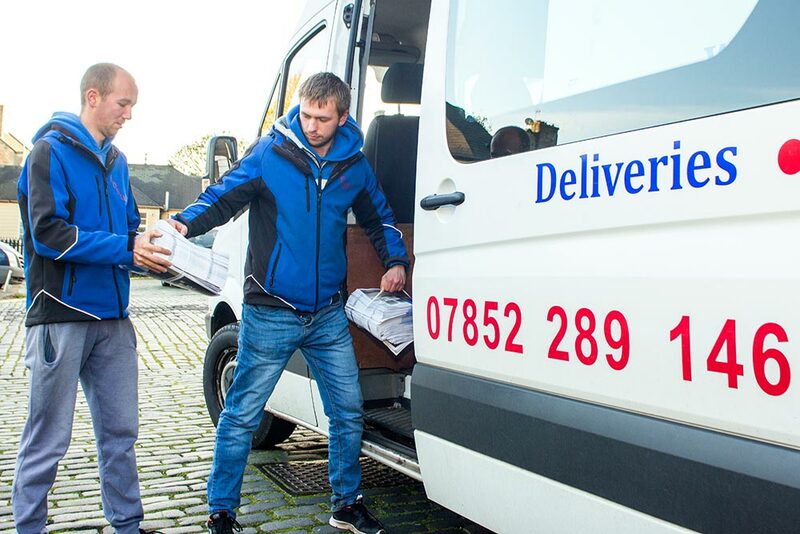 Our friendly, dynamic and reliable teams distribute a wide range of materials, such as lifestyle magazines, promotional leaflets, mailshots, business cards, newspaper publications and other promotional materials quickly and efficiently in areas of your choice. We offer competitive prices and shared distribution options, where your materials are distributed alongside non-competitive items, sharing the cost between customers, giving you the best deals to suit your budget requirements. Hello, my name is Curtis Logue. I am delighted to introduce myself as the owner and creative force behind Johnson Distribution Services. There are many challenges we face in meeting the requirements of our customers but I am lucky and delighted to say that we have many wonderful customers who themselves share a passion for distributing items of interest to the local community, making the work we do that much more rewarding. I look forward to meeting many more of you in time and hope that you too will enjoy the experience of working with us at Johnson Distribution Services. I would like to say to every one of you, our long-term customers and to all those individuals and businesses who have passed through our lives here at Johnson Distribution Services. Thank you for the part you have all played in making this a wonderful experience and assisting us in becoming one of the most successful Distribution companies in Central Scotland. A very high standard of professionalism is what we hoped to achieve over the years while underpinning this with the delivery of a quality service, no matter what the job, large or small. I am confident we have achieved our goal but it is not yet the end. There are many more wonderful experiences to be had and people to meet. If you choose to make an enquiry with us at JDS, my promise to you is, you will not find anyone who can do it better. We have the resources and capacity to handle any job, large or small, that you wish to distribute in the Central Scotland area. 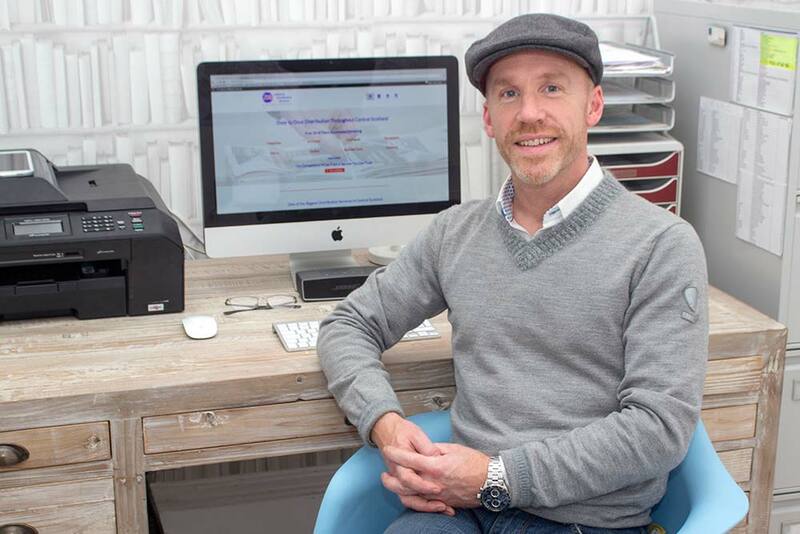 You can choose to have your stock delivered to us directly from your printer, or alternatively, if it’s more convenient, we can collect from your place of business. Once a distribution plan is created and agreed, we will provide you with a bespoke map intended for use in the field by our teams. This will give you a visual representation of your distribution and will allow you to follow the progress made by our teams on your distribution. You will receive regular updates throughout until the distribution is complete. Once a distribution is complete, you will be provided with an invoice by email or post, where you will settle this account through a bank transfer payment or cheque. If you make an enquiry with us we will look to provide you with the best deal possible to suit your budget. All we need are the details of your distribution. We welcome all enquiries, existing customers and potential new customers alike. Over the years we have found that many areas our customers wish to distribute their materials in can be incredibly time consuming and this slows down the distribution significantly at times. Areas in affluent communities of Edinburgh or East Lothian for example can have huge houses and long driveways to manage before reaching letterboxes, so to counteract this we invested in a resource that we like to call Skoosh. This allows us to speed things up significantly and helps us to reach our targets in these areas. Look out for Skoosh as you may see him in and around your area. We have been working with Johnson Distributions for some years now. If you are looking to distribute marketing material then we absolutely recommend Johnson Distribution. They are trust worthy and you are guaranteed to see the results in an increase of sales. Johnson Distribution provide a service second to none and work hard every time to deliver results with expert advice and a quality service. We now consider these guys as part of our team at Ronaq Restaurant as they work very close with us to achieve brilliant results. Here’s to a long a prosperous business relationship. Delighted by the speedy, warm and professional service given by your distribution company. I felt extremely confident that my magazine would be delivered quickly and without fuss. Many thanks for taking one of the pressures of my job off my hands!